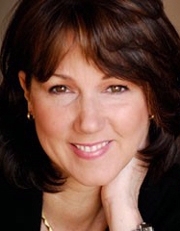 Denise Dal Vera brings real world business credits and expertise to the CCM Drama Program's Business Skills class as both a professional actress, producer and business executive, corporate trainer and coach. Helping student actors prepare for a career in media is her calling after enjoying a highly varied career as an on-camera and voiceover talent. She has had featured roles on Army Wives, 21 Jumpstreet, Northern Exposure, Days of Our Lives and Body Language, along with recent films We’re Doing Fine, The Next Three Days, My Bloody Valentine 3-D, Homecoming, Madison, Uninvited Guest and Artworks. Dal Vera is also a founding creator of IWA Strategies, where she facilitates corporate adult learning techniques through Xavier Leadership Center. Some of her clients include Cincinnati Children’s Hospital Medical Center, UC Law School, Fifth-Third Bank, General Motors, GTE, Iams, Kroger, Lexmark, Boeing Aircraft, Eli Lilly & Co., Macy’s Stores, American Financial Group, Cincinnati Bell, Procter & Gamble, Barefoot Proximity and Wild Flavors. She's a Graduate from The American Academy of Dramatic Arts and currently holds Executive Board positions representing local actors and artists on both the Cincinnati Labor Council AFL-CIO, and the Greater Cincinnati Convention and Visitors Bureau through her past National Board Member work for The Screen Actors Guild – SAG-AFTRA. Currently she is writing, directing and producing the educational documentary film Steel Heartbeats, which focuses on the interaction between sighted and un-sighted high school student musicians through collaboration and a heightened awareness that what we all share in common is more powerful than what makes us different.